Milwaukee Tool Hole-Hawg® Power drill kit has 7.5-Amp motor that delivers speed up to 300 - 1,200 RPM for performing forward and reverse operation on wood, metal, plastics and composites. 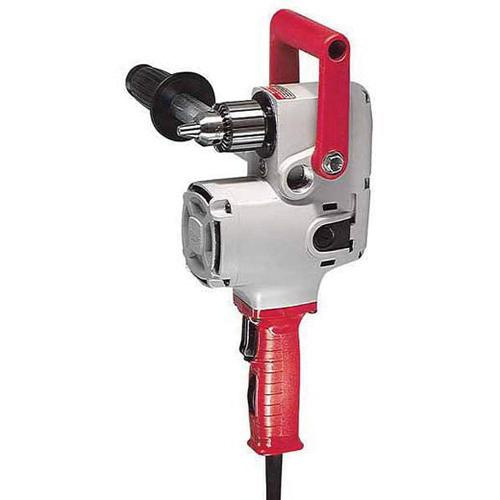 Drill offers a 4-5/8-Inch self-feed bit capacity and an extra-long pipe handle to control power. Kit includes reinforced nylon resin casing, which reduces the weight with greater heat dissipation and provides durability.